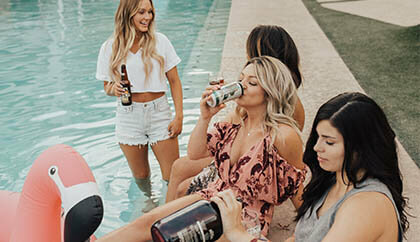 Denver Party Bus specializes in all events from wild celebrations to elegant evenings – we’d say a bachelorette party falls somewhere right in between so we’re definitely equipped to make any bachelorette party perfect as far as luxury transportation goes! Planning the perfect bachelorette party can be tricky, but it doesn’t have to be! Denver Party Bus a huge selection of vehicles that will perfectly accent your friends last night out as a single lady regardless of the style of events that you're planning! Our beautiful stretch limos and SUV limos are great for anything from a day at the spa, wine tasting, or clubbing and our party buses are perfectly suited for wild nights out with lots of drinking and dancing! The buses even feature dance poles and all of our vehicles have club-like lighting, on board bars, and custom stereo systems! 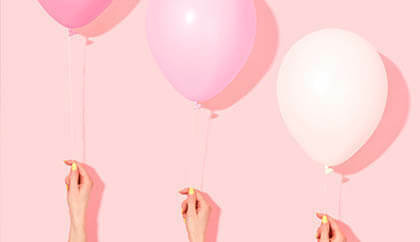 Planning the party: We know you probably have a pretty good handle on how to plan parties but we’ve got a list of helpful tips for you just in case! The first step is to decide how many people you’re expecting – will it be a small event with 5 bridesmaids or a huge blowout with 50 of the bride’s closest friends and family? We have vehicles to suit any size group, you just need to let us know what you’ll need! Next are you planning a quiet night with the girls, perhaps hitting up a spa, taking a pole dancing class, or going out for a fancy dinner? Our limousines may be what you’re looking for! If you’re party girls and you plan on spending the entire night drinking and dancing, our party buses are perfectly suited for crazy dance parties. You’ll also want to know how you’ll address the issue of payment – are you paying for the transportation as a gift or all several people chipping in? Perhaps our biggest tip is to consult with bride before doing anything! It’s her celebration, so just make sure she’s on board with the plans! There’s endless things to do in Denver! Denver is full of great places to celebrate bachelorette parties. There’s endless options for salons, spas, massages, wine bars, dance clubs, pubs, sports bars, live music clubs, dive bars, fancy restaurants – Denver really does have so much to offer! Decide if you will be scoping out just few places or check out them all! It’s helpful to come up with an itinerary for your driver but by no means is it necessary! And if you do come into the trip with a plan that you give us, handing in an itinerary does not mean you can’t change your mind or add more places! At Denver Party Bus our goal is to accommodate you and make your event perfect, so whatever you want to do or wherever you'll be heading, we will get your there! 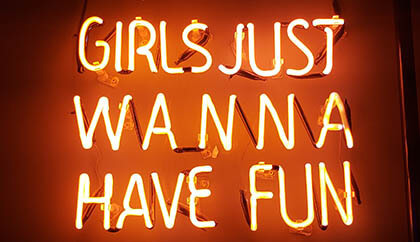 Girls’ night is always a great time, but bachelorette parties are girls’ night on a whole new level! Celebrate to the extreme in Denver with a luxury party bus or limousine from Denver Party Bus!